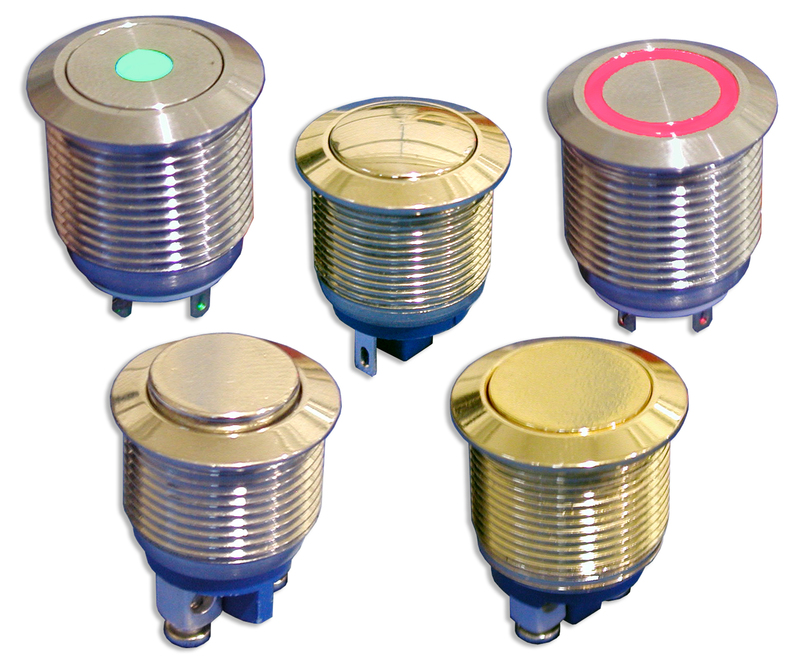 Available in both 16mm & 19mm, this IP65 vandal and splash resistant momentary button switch offers many choices of actuator styles including flush, round, raised, flush ring or dot illuminated, raised ring illuminated, flush international standby symbol illuminated, round ring or dot illuminated or raised dot illuminated. Body finish options of this anti-vandal switch include nickel plated brass, gold plated brass, brushed stainless steel or anodized aluminum in black, green, red, blue or yellow. The BH Series vandal proof switch also offers a choice of solder lug, .110? quick connect or screw terminal termination. This pushbutton switch features bi-color LED options in red, yellow, green, blue, white and orange and many combinations of the same. Wall plates are available in brushed aluminum and yellow anodized brushed aluminum in three different sizes along with aluminum switch housing in up to 5 positions, with and without mounting flanges. If you're interested in more illumination options, have a look at our CH series LED pushbutton switch .